Welcome to the Bettinger Group at Carnegie Mellon University! We are broadly interested in the applying principles of polymer synthesis, materials science, and microfabrication for use in a wide range of biomedical applications including advanced medical devices, regenerative medicine, bio-interfaces, and drug delivery. Members of the Bettinger Group work at the interface of several disciplines including polymeric biomaterials, electrochemistry, and applied physics to achieve these goals. One representative project is our work on hydrogel-based electronics for ultracompliant neural interfaces. In this work, we use bioinspired materials to create adhesive, flexible, neural interfaces that can record or stimulate from the peripheral nervous system while minimizing tissue damage. Another representative example of these efforts is our recent work in edible electronics. 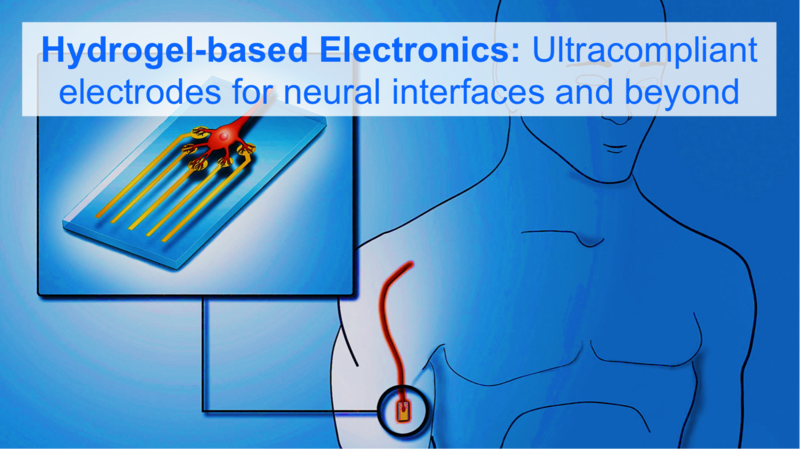 The goal of this project is to design and engineer sophisticated ingestible electronics that are composed of non-toxic materials and potentially useful in a wide range of diagnostic and therapeutic applications.